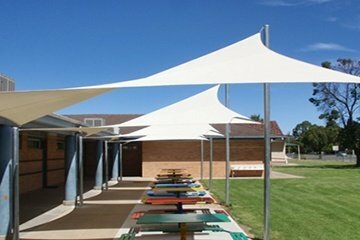 Shade Sails and structures are designed to create outdoor sheltered areas. You will see them tensioned over school yards, aged care facilities courtyard areas, domestic and commercial swimming pools, car parks, playgrounds, and other outdoor recreation areas. 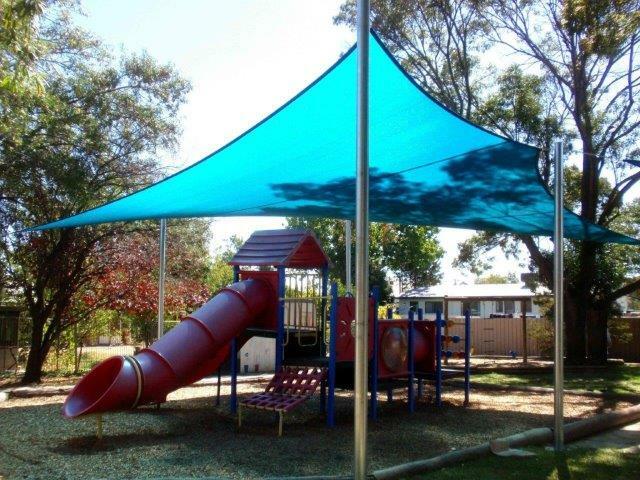 A shade sail is versatile, strong and durable and its main purpose is to provide protection from the sun’s harmful rays. We Australians are very fortunate to live in a beautiful country that is bathed in sunlight for most of the year, unfortunately where we are positioned geographically we are prone to stronger UV exposure than our neighbour countries to the north, due to our proximity of the thinning ozone layer. With this in mind and the constant warnings initiated by the cancer council we Australians are becoming more aware of the harmful effects of UV rays. 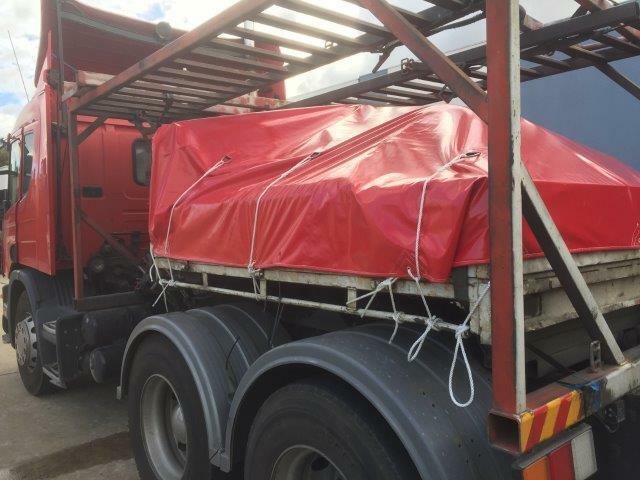 We are seeking more ways to provide ourselves, our families and our work environments with a greater level of protection from the harmful effect of the harsh Australian sun. While the goal is to create shade from the heat, the UV blocking ability of the shade sail fabric is the key to maximize our protection. To maximize UV protection, it is important for a shade sail or structure to have a permanent shape and design to allow for consistent protection from the elements. A shade sail fabric that will sag and stretch over time, and flap in high winds will not provide this protection. The fabric construction will open, making the fabric weaker and allowing more of those harsh sun’s rays to filter through. Another fact that people may or may not be aware is that the color of the shade fabric can vary the UV protection. We at Selbys Canvas and Shade have 18 years of experience in custom making Shade sails and over this time we have learned that using the right shade cloth to deliver the maximum protection and longevity of time. 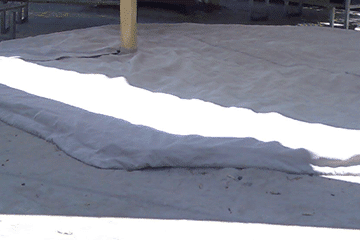 When installed correctly, a good quality shade sail fabric will not stretch and loosen in high wind areas. There will be no need for the installers to return to re-tension the fabric. 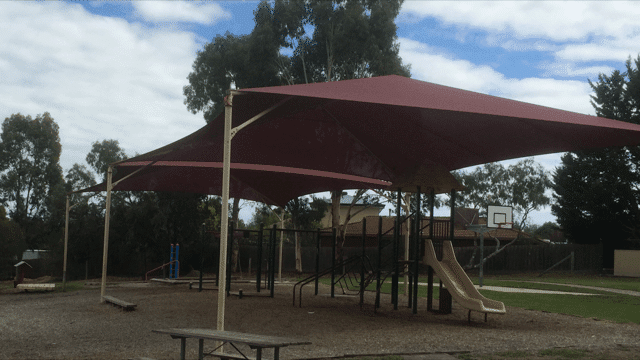 Using high quality shade cloth fabric gives us the manufacture the ability to custom make large shade sails and structures that allows our installers the ability to install large spans, and cover large areas that some inferior shade fabric is not able to do. Using the right Shade fabric give us greater flexibility in creating aesthetically pleasing and stylish designs that will give you long lasting protection and performance for your specific requirements.